Would you love to update your home but find you just don’t have the budget to pull it off? Well never fear! I have put together some budget friendly ideas to help you out. A little creativity can go a long way when you want to update or renovate your home. The first step is deciding where to start. Which rooms are you considering could use an update? Remember, different rooms will have different costs. It’s always best to tackle just one room at a time. So choose the room that matches the dollars you have to spend. Once you have that decided, you are ready to go! Give the room a good cleaning first! This is the perfect time to declutter, organize and yes, donate. If you are planning on keeping certain items in the room, then polish them up and give them a fresh clean look. A little elbow grease can really go along way when adding a new look to an old space. 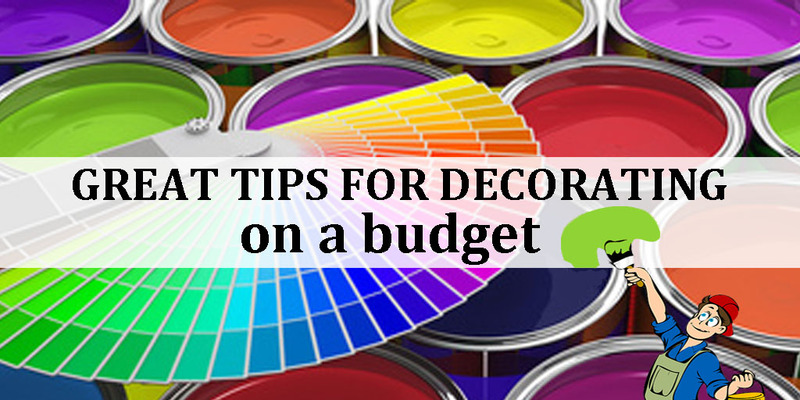 Painting the walls yourself is an affordable way to give your room a brand new look. If you have never painted before, then I would suggest you don’t take any shortcuts. There are several helpful resources that you can refer to as you go. 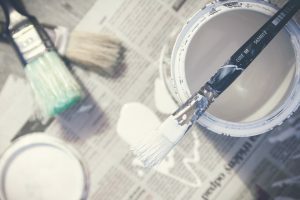 How to Know What Type of Paint to Choose – If in doubt you can always talk to a paint specialist at your favourite hardware store. Some companies have paint lines specific to individual rooms. Prep The Walls Yourself – There are several steps to successful prepping. However, in the long run the effort you put into this activity the better your walls will look. Prepping always includes the steps you need to take to protect your floors and furniture. Wallpapering is another option to add a little spark of decor to your room. Covering just one wall can add a great design element to the room and it’s more affordable! How To Remove Wallpaper – Removing wallpaper requires preparation and effort. Doing it yourself is a real cost saver. Doing it correctly is important for the next step in your decorating. 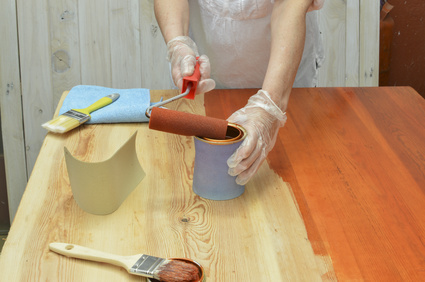 If you plan on painting the walls, you will want to make sure the walls are smooth and clean. How To Wallpaper A Room – Wallpaper comes in different types. Some are easier to install/remove than others. Make sure you choose a wallpaper that you can easily work with. Have you decided on flooring? 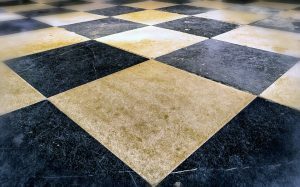 Flooring can be an expensive choice and one that you should do your research on before you buy. Of course, we all love hardwood floors and marble tiles. However, are these the best choice for your budget? You can often blow your budget on high price flooring that requires professional installation. Keep an open mind when checking out the various kinds. If you want to stay within your budget you will want to find flooring that is attractive, durable and easy to install. Keeping your existing furniture is a real cost saver. However, if you plan on changing some or all of your current furniture you do have some affordable options. If your furniture is in good shape and you are just tired of the style or colour you can also opt to refinish it. There are several products available to help you out. It is a great idea to check out some ideas before you buy new. I find this resource from apartment therapy very useful in deciding what stays and what goes. 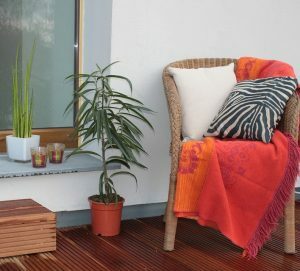 Staining or painting your current furniture can be a big cost saving choice! However, if you are set on buying new furniture DON’T start your shopping at the big box outlets or the high fashion furniture stores! It’s always best to visit your local flea markets, used furniture shops and my favourite, Habitat For Humanity Restores. You may be surprised what you can find. I must admit that this is the one job I love doing when changing the decor of a room. The possibilities are endless when it comes to finding those special pieces that speak your personality. Accents can include everything from lighting, throw carpets, pillows, mirrors, wall decor and the list goes on. Here are some great places to go hunting for those perfect pieces. Discount & Dollar Stores – a great location to pick up an inexpensive vase, picture frame or even pot-holders. Flea & Farmers Markets – you can find the creative and unique work of local artists at half the store price. Yard & Garage Sales – you may be surprised what treasures you can find. Estate Sales & Auctions – keep your budget in mind. These options are perfect if you are searching for accent lighting, art work and unique furniture pieces. Church Bazaars & Rummage Sales – if you are looking to buy handmade items don’t miss this stop. Second Hand Stores – most items displayed can be easily washed and painted to look like new. Scratch and Dent Stores and Departments – if you are considering new appliances it makes sense to start your shopping here. Habitat For Humanity Restores – you will find some original items perfect for those Do-It-Yourself (DIY) projects and the money you spend goes to a great cause. Any room can be homey and welcoming when you add your personal touch! Set that budget, make a plan and go for it! You may just be surprised how creative you are. T hanks so much for taking the time to read my Blog. 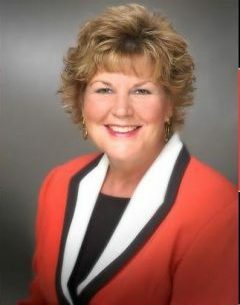 If you require more information on buying or selling a home please give me a call. I was born in and am native to Chatham, Ontario. I began my real estate career in 1989, I have been a member of the MLS Chatham-Kent Real Estate Board since 1989. I joined the Royal LePage Sales Team in 2001. I’ve been helping my clients buy and sell homes in the Chatham-Kent area for over 25 years. Give me a call today at (519) 401-5470 for a free, no-obligation consultation. Excellent article! Can always use budget-friendly tips, and I love the detailed suggestions that go with each item!